Both the rules and roles governing IT service management (ITSM) are evolving to support a broader need for inclusiveness across IT and between IT and its service consumers. Recent research from Enterprise Management Associates (EMA), What is the Future of IT Service Management?, published in March 2015, exposed a number of shifting trends that may surprise many. In the research, ITSM is approached not only as a set of service management processes, but also viewed in the context of recent trends in technology adoption and evolving organizational models. The research spans 270 respondents in North America and Europe—in roles ranging from executives and service desk professionals to operations, and even development personnel—all of whom are actively engaged in ITSM in some way. Company/organizational size represents a good mix as well, ranging from 500 to more than 20,000 employees. 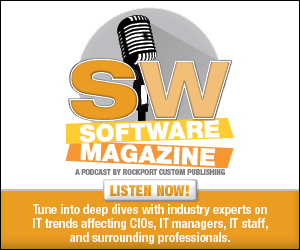 Nearly 50 percent of those surveyed indicated that their ITSM teams are slated for growth. Another 35 percent remained the same, and only 15 percent are shrinking. The first thing that stands out in the survey responses is the growing need to more fully integrate the service desk with operations beyond traditional trouble ticketing. This requirement changes both the roles and rules of ITSM, especially among the more successful ITSM teams where dialog between service management professionals and core operations experts is becoming more multifaceted and service aware than in the past. In many cases, the more effective ITSM teams increasingly help to coordinate and focus operational experts in support of business needs. Our data shows that the top three strategic priorities for ITSM teams include improved user experience for internal service consumers—end users, improved operations-to-service desk integrations for incident and problem management, and improved operations-to-service desk integrations for configuration and change management. All three data points call out for stronger operations-to-ITSM integrations—in terms of workflow, analytics, and automation, as well as effective role-aware visualization. As an added confirmation, 55 percent of respondents feel that big data analytics for IT belong equally to ITSM and operations, and 14 percent believe that big data was primarily the province of the ITSM team. Another surprising finding that supports integrated operations is that, for the first time ever, “performance-related service impact” is the dominant use case for configuration management database (CMDB)/configuration management system (CMS) deployments—followed by asset and change management—once again emphasizing the need to optimize the delivery of critical IT application services and, hence, improve the end-user experience. Other research highlights show the following trends in rules and roles. Cloud continues to be a game changer. ITSM teams play a more dynamic and service-aware role in managing cloud investments through a growing focus on things like higher levels of automation and more attention to DevOps. ITSM teams are also integrating cloud services into their service catalogs—with software as a service (SaaS) internal cloud services, infrastructure as a service (IaaS) internal cloud services, and SaaS and IaaS services in public cloud tied for third. The move to support enterprise services is also changing ITSM rules and roles. Only 89 percent of respondents had plans to consolidate IT and non-IT customer service—up from just two years ago when only 75 percent had plans to consolidate. Mobility is seriously changing the ITSM game—in terms of both improved IT efficiencies and end-user outreach. EMA research indicates that 85 percent of respondents report mobile support for end users, often across heterogeneous environments—for example tablets, Apple iPhones, and Android phones. 50 percent allowed end users to make ITSM-related service requests via these devices, making ITSM teams—and IT as a whole—considerably more consumer friendly. In parallel, the demand for more unified and effective endpoint management expands the requirements for role-based expertise. The leading requirements/skills here include capturing software usage, software license management, software distribution, operating system deployment, and patch management across a fully heterogeneous set of endpoint options. Those who were extremely successful were also four times more likely to have integrated their IT and non-IT service desks, twice as likely to have a CMDB/CMS related technology deployed, nearly eight times more likely to have application discovery and dependency mapping deployed or in plan, dramatically more likely to support cloud in service catalogs, nearly four times more likely to have created a fast track for agile, 20 times more likely to view integrated agile and ITSM as “transformative,” twice as likely to be leveraging mobile for ITSM professionals, nearly four times more likely to offer service consumers mobile support for ITSM related actions, twice as likely to offer users access to corporate applications through mobile, and more than twice as likely to be slated for growth. Dennis Drogseth, VP, EMA, joined the firm in 1998 and currently manages the NH office. He brings several years of experience in various aspects of marketing and business planning for service management solutions. He supports EMA through leadership in ITSM, CMDS, as well as megatrends like advanced operations analytics, cross-domain automation systems, IT-to-business alignment, and service-centric financial optimization.